The tour industry is filled with scammers, how do I know you are legitimate? There are many Latin America tours, why should I pick you? I would like to arrange a private tour, is that possible? I don’t want to share a room with a stranger, can I get a private room? Some parts of Latin America have Zika and other diseases, do I have to be concerned? I have food allergies, can these be accommodated? Is Costa Rica 110 volts? How do I charge my camera, laptop and flash batteries? I am a novice photographer, am I welcome? I’m an advanced photographer, will this be too basic for me? My spouse/partner is not interested in photography but loves wildlife and nature, would this be a good trip for him/her? What do I wear on the trip? Should I bring any cash? What sorts of wildlife will I see? What sort of camera gear should I bring? Rooms include a private bathroom and hot showers, a queen bed (where available), three meals per day prepared with fresh and local ingredients, fruit juice, snacks, bottled water. Some lodges are rustic but clean. Most lodges are not air conditioned but do have fans. Lodges in the cooler areas will have a heater. Most lodges are on septic systems and you will be asked to place toilet paper into the provided bins instead of the toilet itself. Wi-fi internet is generally available but there may be outages. 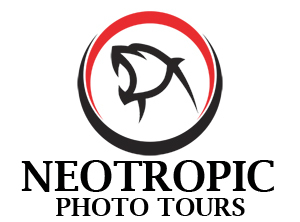 This function has been disabled for Neotropic Photo Tours.